Beverage line clamp .346 - .413 .. 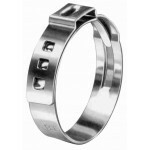 Stainless steel clamp for 1/4" ID beverage line ..
Beverage line clamp .453 - .551 ..
Beverage line clamp .472 - .571 ..
Beverage line clamp .520 - .618 ..
Beverage line clamp .571 - .669 .. Stainless steel clamp for 3/8" ID beverage line. .. Stainless steel cleamp for 1/2" ID beverage line .. 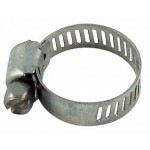 Stainless steel clamp for 13/16" OD line. ..
Beverage line clamp .524 - .524 .. Worm gear clamp that fits 3/16" to 3/8" beverage lise. ..